Spring is here and the Mohawk-Hudson Section has a lot of to look forward to. RPI and HVCC are co-hosting the ASCE Student Conference later this month. The conference includes the Steel Bridge and Concrete Canoe Competitions. In addition, we will be begin receiving applications for our high school scholarship within the next few weeks, we are currently looking for nominations for our Board election and Section awards, and planning for the Annual Dinner is underway. Looking ahead to summer, we are already planning our annual golf tournament, Tri-City ValleyCats outing, and networking events hosted by the Younger Members Group. If you ever need more information about a specific event or how to become involved, please don’t hesitate to contact me or any of the board members. I look forward to another eventful year. Leo Fioravanti will continue to serve the second half of his two-year term as Treasurer. Many of our current board members will be re-running for their current positions or running for new ones. Any vacancy in the position of president will be filled in accordance with our by-laws. We are currently looking for nominations for our open positions. If you or anyone you know are interested in becoming involved with the Mohawk-Hudson Section Board, please reach out to Chris Carter (chris.carter@stantec.com) for details on how to make a nomination. We are looking for nominations for the Section’s annual Engineer of the Year and Younger Member of the Year awards. Nominations forms are attached to the newsletter and can also be found on our website. The Mohawk Hudson Section hosted special screenings for local middle school and high school of the new film “Dream Big: Engineering Our World” at the Regal Cinemas © Crossgates IMAX theater and Regal Cinemas Clifton Park RPX from October 16th through the 20th. Nearly 1,000 students from several local school districts attended the screenings. At the theater, students were greeted by representatives from local civil engineering companies to answer any questions they may have. Each day a different guest speaker introduced the film. The speakers included Assemblyman Angelo Santabarbara, Congressman Paul Tonko, Clifton Park Town Supervisor Phil Barrett, Ann Clark, P.E. (Ryan Biggs |Clark Davis) as well as Dr. Elizabeth Wood, the Deputy Superintendent of the Shenendahowa School District. This event was arguably the largest event hosted by the Mohawk-Hudson Section to date. This was an extremely successful STEM event and we provided a lot of local students with an opportunity to see Dream Big: Engineering Our World. The film is inspiring and emphasizes that anyone regardless of age, race, gender, or experience can not only succeed in engineering, but can accomplish anything they set their minds to. ASCE has a goal to put a copy of Dream Big: Engineering Our World in every public school in the US. A generous grant from the United Engineering Foundation will enable ASCE to put a DVD in every high school. 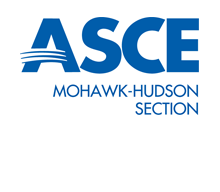 The Mohawk-Hudson Section will help to put a copy in our local middle schools by participating in a 1:1 matching program with ASCE National. All around the world, engineers are pushing the limits of ingenuity and innovation in unexpected, imaginative, and amazing ways. Dream Big: Engineering Our World, a giant-screen film about engineering, takes viewers on a journey of discovery from the world’s tallest building to a bridge higher than the clouds. Along the way, the audience will witness how today’s engineers are shaping the world of tomorrow. The film is set to be released on DVD over the summer. It is available for pre-order on Amazon.com and will also be available on Netflix. Save the date! Our Annual Summer Golf Outing is scheduled for Friday, July 13th at Airway Meadows Golf Course in Gansevoort, NY. Additional details will be sent via email and will also be available on our website.